Rabbi Joseph B. Soloveitchik, ztz”l, was one of the most prominent teachers of Modern Orthodox Jewry. Dr. Moshe Sokolow, Associate Dean of the Azrieli Graduate School of Jewish Education, collects fourteen articles and essays about how Rabbi Soloveitchik understood ideas central to Jewish life, such as the relationship between man and God, the role and centrality of prayer from historical and philosophical perspectives, belief in redemption, the role of Zionism in Judaism, and many others. 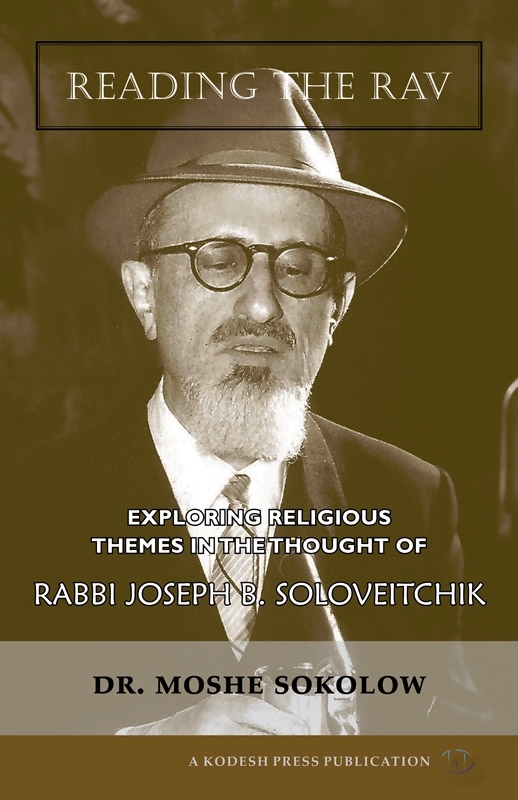 Dr. Sokolow masterfully weaves in Talmudic, traditional, and modern sources to provide the reader with a deeper understanding of the Rav’s position, and a broader grasp of the full range of Jewish approaches to these fundamental questions.